I’m breaking with my own unwritten rule here, of only writing about food places in Sheffield. But I think this place is worth breaking it for. We were in Harrogate recently, and had an amazing lunch at a place called Filmore and Union. I’ve been wanting to go there for ages, and it really lived up to expectations. It’s a northern chain, that also has restaurants in York, Skipton, Wetherby, Newcastle and others. I can only hope Sheffield is in their sights for a future venue. Much of the menu (including lots of cake/dessert) is gluten free, giving a fabulous choice of food. There were some really different, interesting choices on the menu, all wholesome and packed with flavour. Best of all, Filmore and Union is accredited with Coeliac UK, which always takes the stress out of dining out. For lunch, I had a smoked haddock and sweet potato fish cake with sides of turmeric roasted cauliflower and slow roasted aubergines, dates and tomatoes. The flavours were amazing. Hubby had a Caesar salad with peanut butter chicken schnitzel, also GF. For pudding, we shared a (vegan) chocolate orange brownie with apricot and pistachio, and a turmeric scone, which was served warm with honey and yoghurt. The whole thing was awesome, and the weather was fab so we were able to sit outside on their cute terrace. When our evening plans fell through, we almost went back there for dinner, it was so good! If you fancy something to drool over, their menu can be found here. So if you find yourself in Harrogate, Leeds (Moortown), Wetherby, Skipton, Jesmond (Newcastle), Ilkley, I recommend you go out of your way to eat here. They have a couple of take out places too (Harrogate and Wetherby) as well as concessions in some John Lewis stores (York, Newcastle, Nottingham). 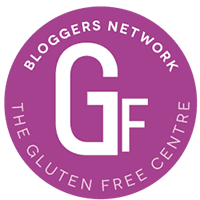 Tags: coeliac eating out, Coeliac UK accreditation, Filmore and Union, gluten free eating out. Bookmark the permalink.